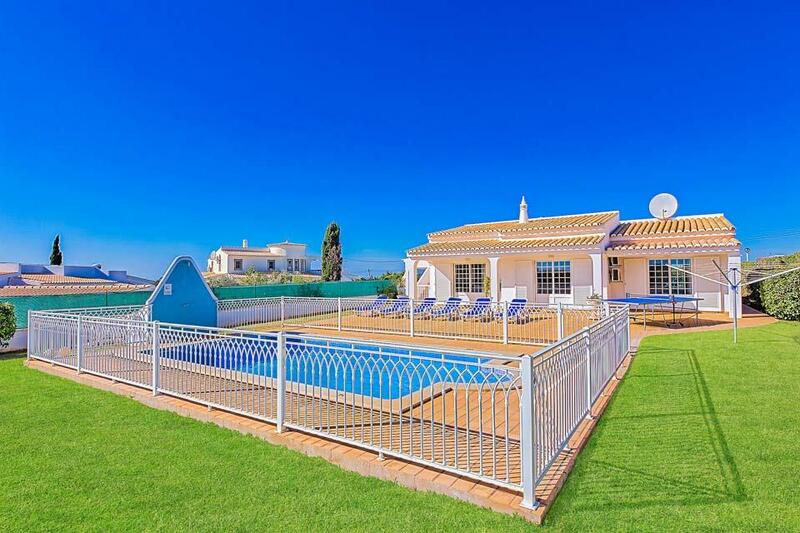 Villa Jacinto is a truly fabulous three bedroom villa located in the Vale De Parra area. 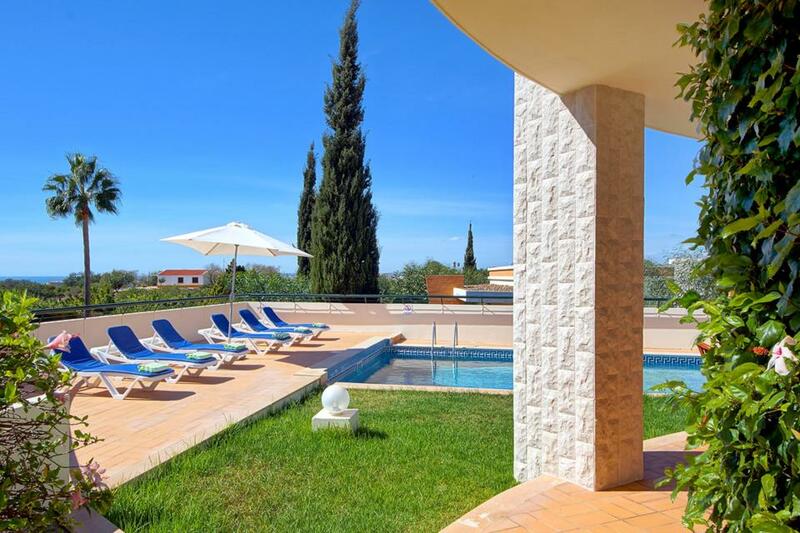 Blending contemporary style with modern comfort, Villa Jacinto is a beautiful three-bedroom villa in the peaceful vicinity of Vale De Parra in the Algarve. With a simple, low-level design and a glistening pool in the garden, Villa Jacinto exudes peace and tranquillity. When you’re not cooling off in the pool, sun loungers and a shady parasol are the perfect place to unwind and enjoy the clear blue skies above. 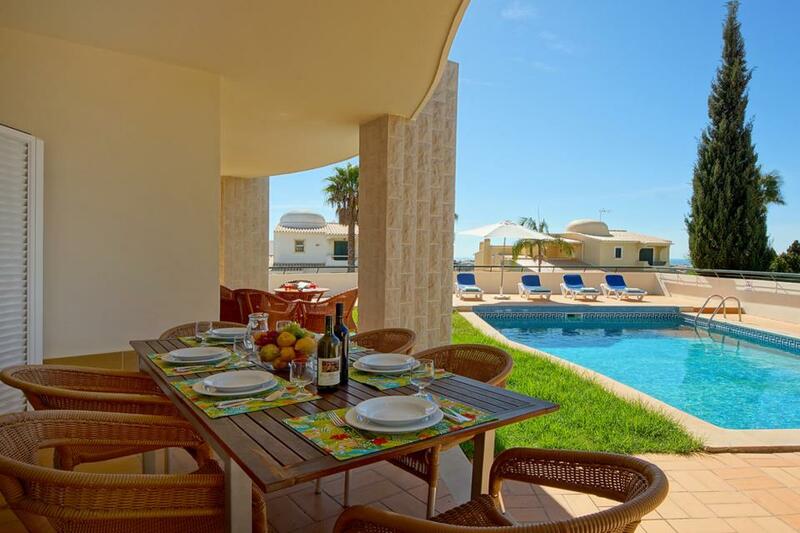 The villa has been designed with a shaded terrace, bedecked with an outdoor dining table and chairs. Why not pop down to the local shops and stock up on some fresh meat and seafood to grill on the fabulous Portuguese BBQ in the garden? You’ll feel most welcomed inside, with cheery red sofas and matching floral curtains. 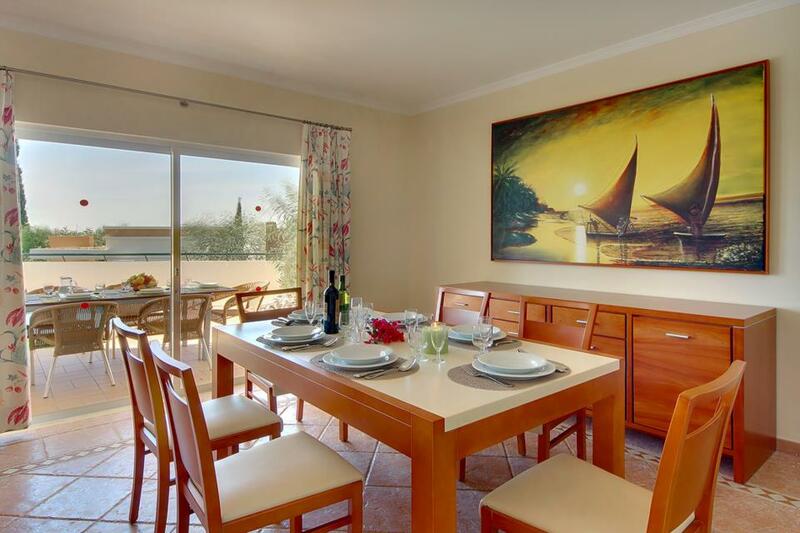 The décor is light and airy and the villa is equipped with all home comforts, including a dining table for six. 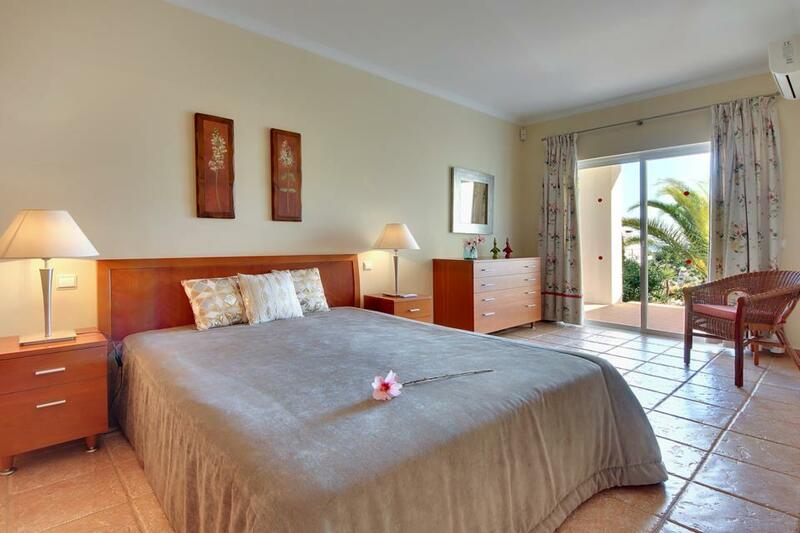 Of the three bedrooms, there is one master double bedroom and two twins. On foot, you can reach the local restaurants and mini-markets in under fifteen minutes. The gorgeous sandy beaches are but a five-minute drive away and, if you want to venture further, the popular resort of Albufeira is only a ten-minute drive. Enjoy the fine wines that the region is famous for and dip your toes into the shimmering water at Praia Da Oura beach. 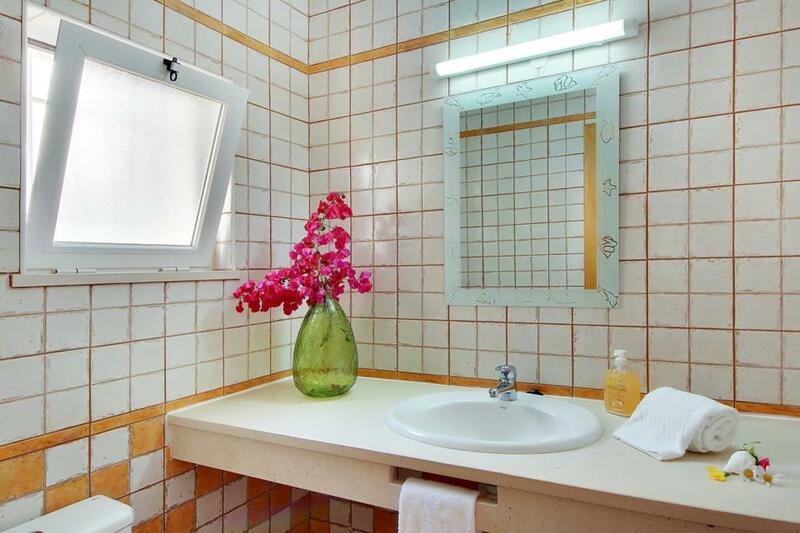 Due to the elevation and location of Villa Jacinto there are numerous steps in the approach to Villa and includes steps internally on the ground floor, it is therefore not suitable for wheelchair uses or customers with restricted mobility. It is the 4th time we have been to this villa. As before it didn't disappoint. Quiet place and nice views from the villa. Cleaning people very efficient and pleasant. Air conditioning in the living room would be needed during summer time as sun is strong during this season. 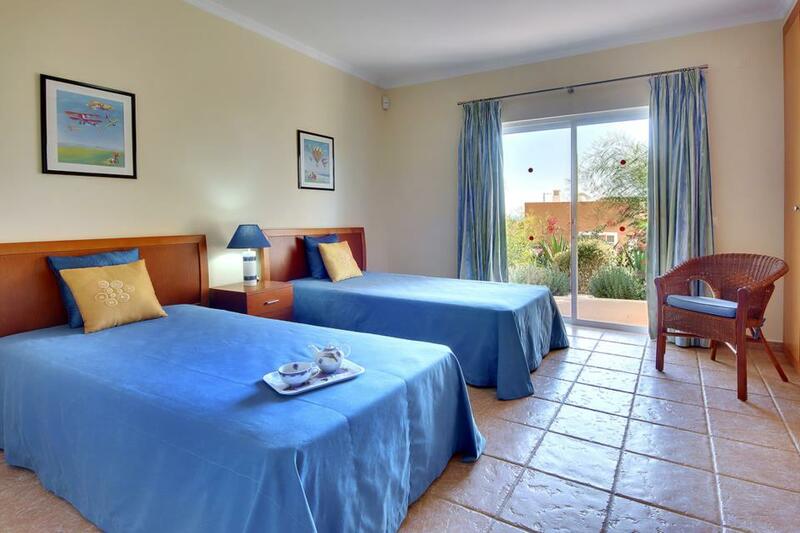 quiet location, great facilities, lovely clean rooms and pool. Nice relaxing, layout and value for money. 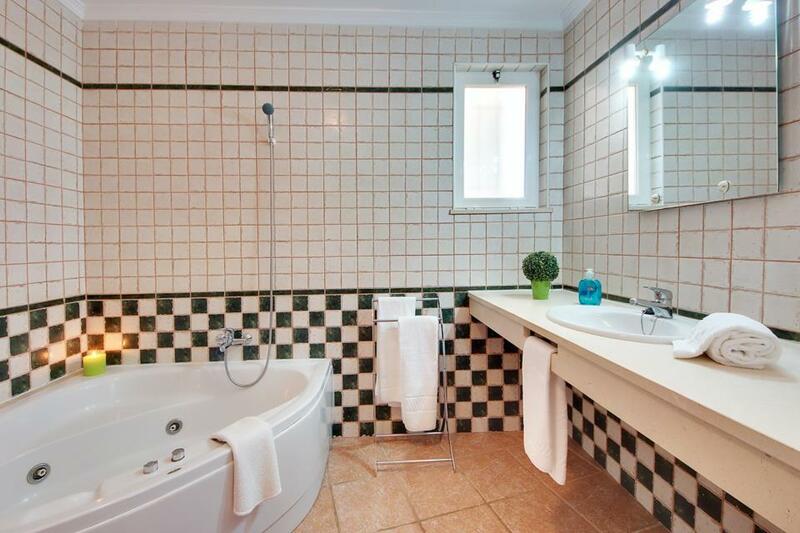 The location is just perfect: good neighbourhood, views, near the town and markets. The house is so spacious and cosy. I would for sure go again. Thank you for our lovely holidays you made for us. 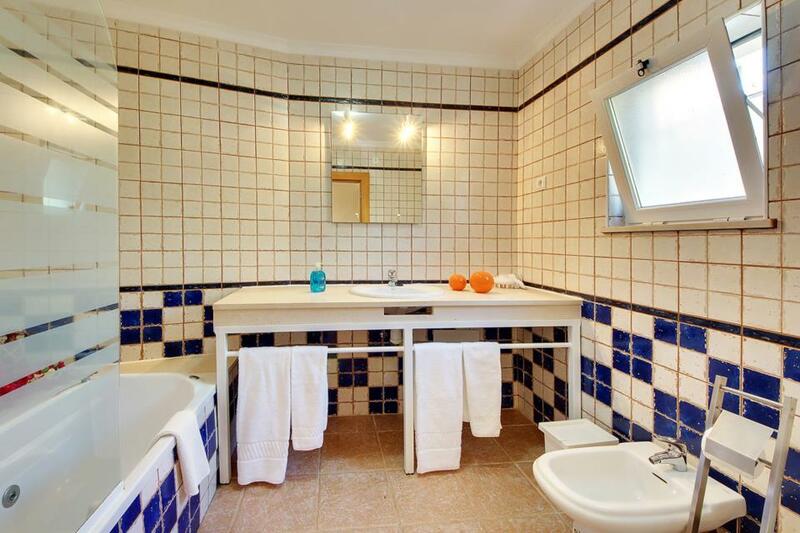 same pictures on your web site very clean and confortable villa. nice place and quite. We stayed one exceptional week and hopefully come back. solmar villa very professional. Very well equiped, spotless ,very spacious. Unfortunately due to cats we were unable to sit outside for meals or relaxing or leaving our doors open because of the cats. We feel we should have been made aware of hill we had to walk up from the shops and restaurant. The rep was very helpful and the transfers from the airport were excellent. 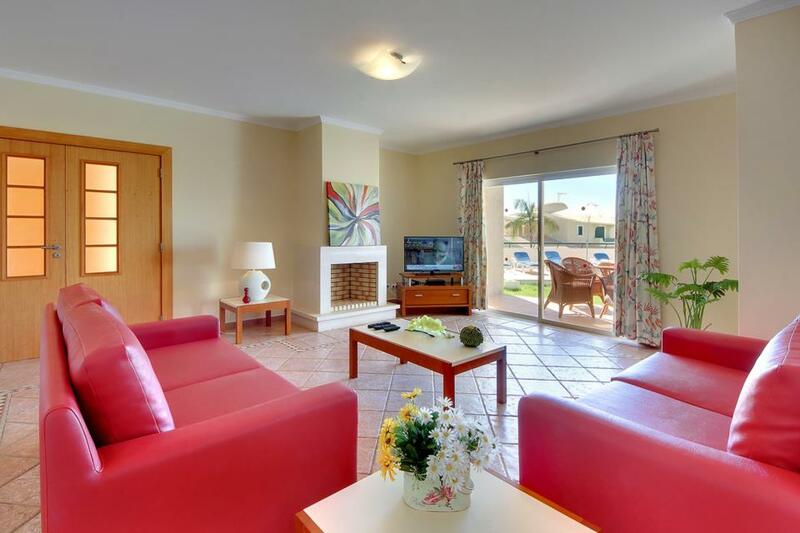 The villa is very spacious and spotlessly clean. 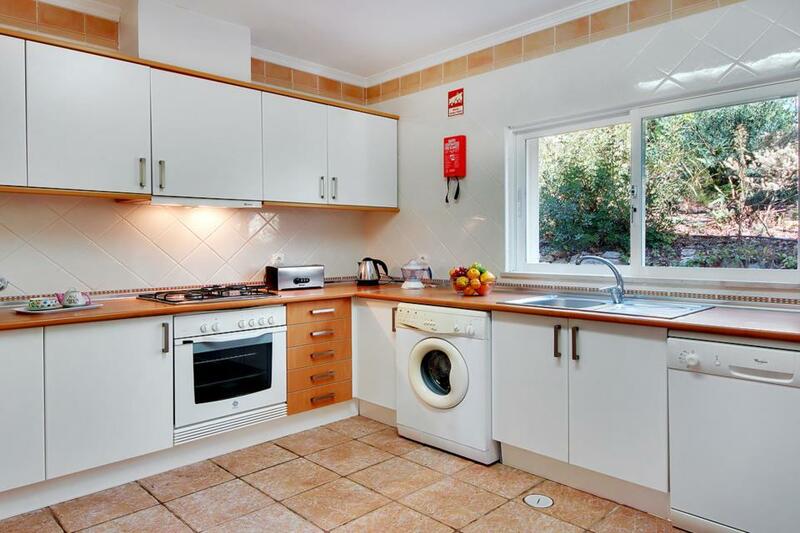 It is really well equipped for a self catering holiday. 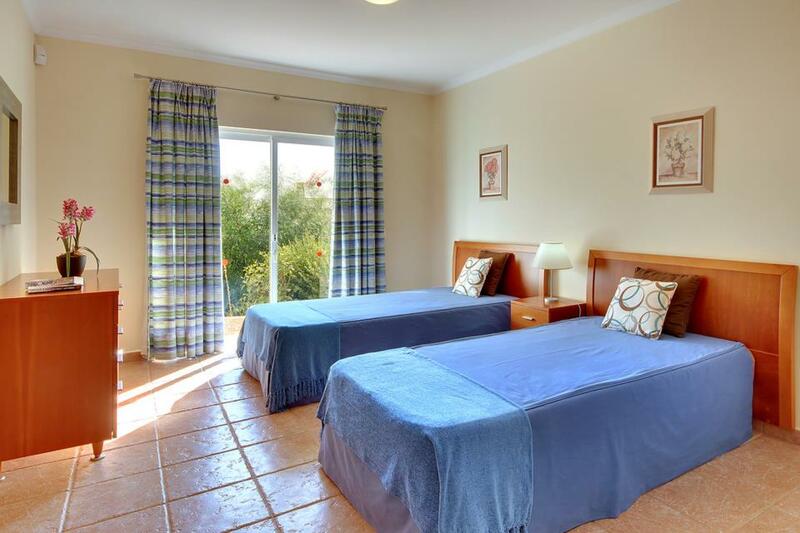 Vale de Parra is a quiet place and there are lots of lovely beaches within a five minute drive from the villa. There are also really nice restaurants in the vicinity. A car is essential though to enjoy your time there to the full. 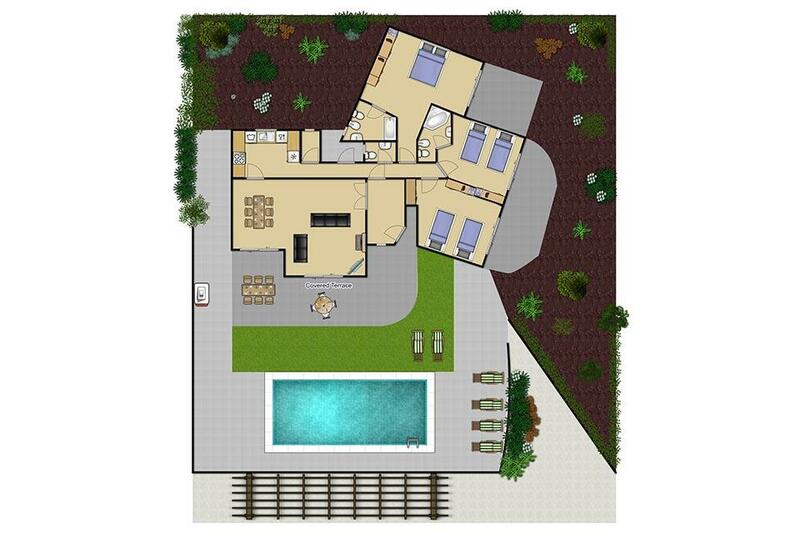 Cleanliness, location and view, privacy. Vale Parra as a resort was nice on the other hand Albufeira was not. 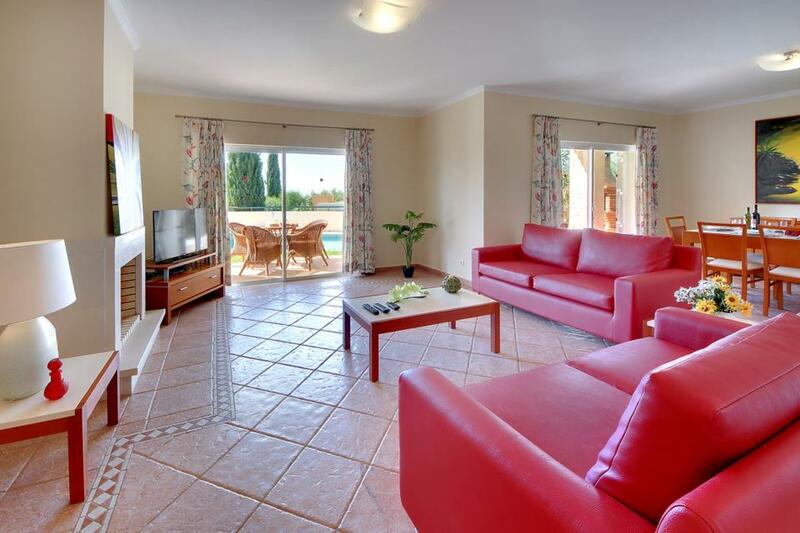 Villa was spacious, clean, effective aircon and lovely pool. 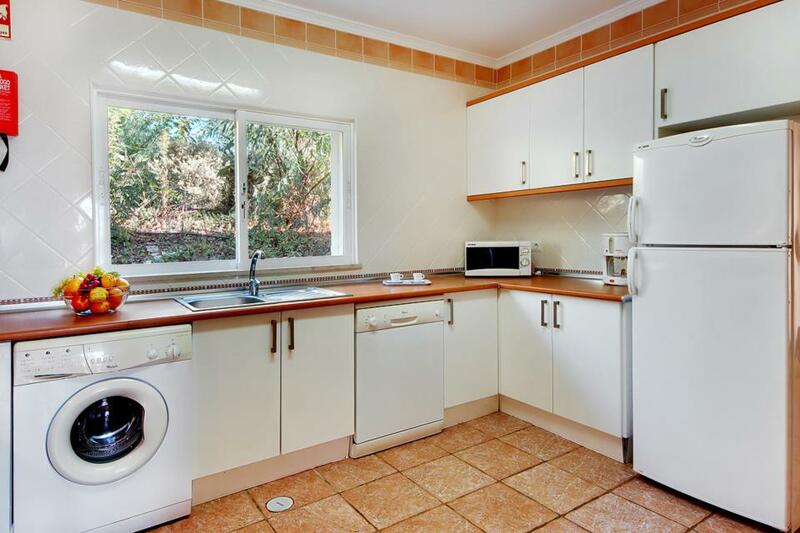 Great location and the property was very clean. 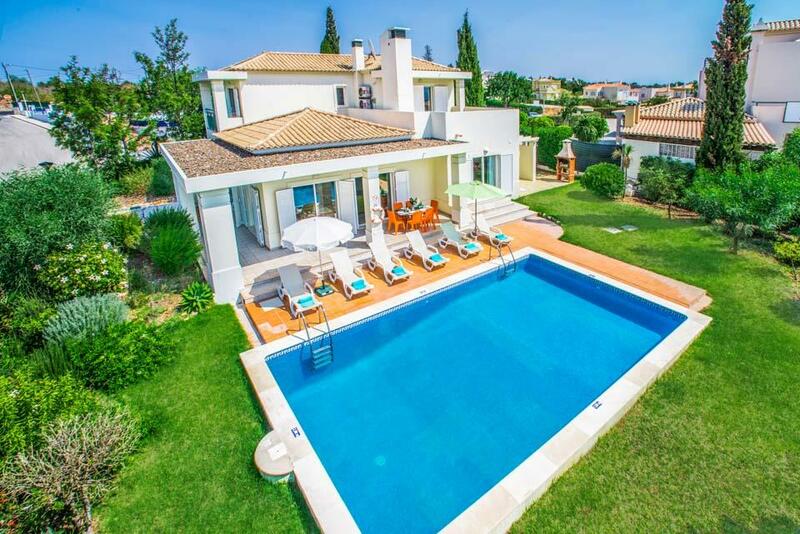 Villa very well equipped with all essentials for the "self-catering".Rooms spacious with plenty of storage. Kitchen had plenty of pots and pans. seating area good. 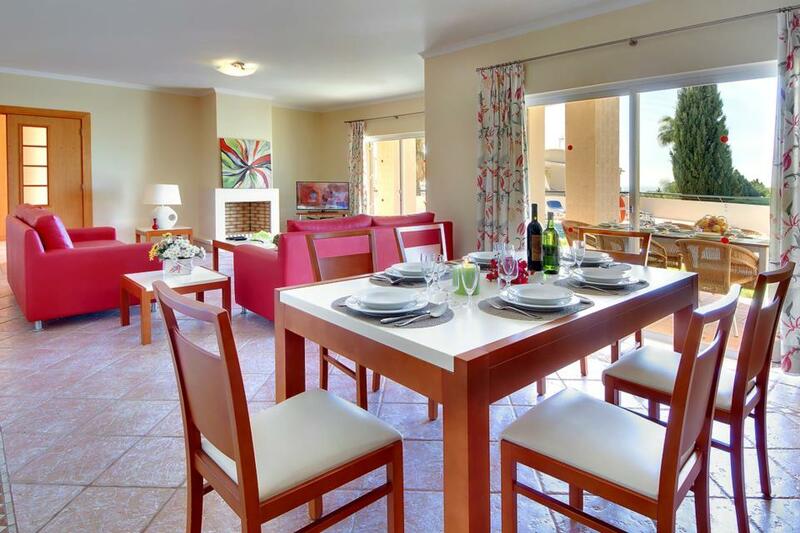 Villa very well equipped with all essentials for the 'self-catering'.Rooms spacious with plenty of storage. Kitchen had plenty of pots and pans. seating area good.